I wholeheartedly endorse the inauguration of a Special Military Task force by President Muhammadu Buhari on Wednesday July 13, 2016 in Zamfara State to tackle the menace of cattle rustling which has made life and business hellish for herdsmen in the state. The decision by the federal government to deploy hundreds of troops to combat armed bandits that have been terrorising members of the Miyetti Allah Cattle Breeders Association and stealing their cattles became expedient following repeated calls by cattle breeders and residents of the affected communities on president Buhari to come to their aid. There is no doubt about fact that the mass stealing of cattles has a negative effect on the economy of Nigeria with the attendant increase in the cost of meats. The President acted decisively and responsibly. However, I find it rather curious and upsetting that a democratically elected president of the Federal Republic of Nigeria can take such drastic action just to safeguard the lives of cows (a non human creature) while paying lip service to the continued annihilation of innocent farmers, community members and citizens by herdsmen, religious extremists, criminals and terrorists, for whatever reason, across the country. This is sickening to say the least. Since the birth of this dispensation, innocent citizens have been gruesomely murdered by non state actors and extra-judicially exterminated by security agencies with impunity. Save for its appreciable successes in the fight against Boko Haram in the North Eastern part of the country, the Buhari-led federal government has failed to live to up its primary purpose and most sacred responsibility of protecting and securing the lives and properties of Nigerians as stipulated in Section 14 (2) (b) of the Constitution of the Federal Republic of Nigeria 1999 (as amended). The scandalous silence and shameful inaction of the president seems to have emboldened these murderous predators and implicitly legitimized their nefarious and atrocious actions against hapless citizens. How else can one explain the incessant killings that are going on in the country? From Benue, Enugu, Kano and other parts of the country, the story has been killing upon killing; sorrow upon sorrow and destruction upon destruction. Currently, the land is literarily littered with the blood, tears and agonies of innocent citizens whose existence have been terminated or degraded by murderous and rampaging groups of people and individuals who have suddenly found unprecedented but debase courage and tenacity to kill at will; unchallenged and without consequences or proportionate reaction from the federal government and and its agencies. In order to properly situate my views, few worrisome examples will suffice. Barely one month after the murder of Mrs Bridget in Kano by a senseless mob for alleged “blasphemy”, a forty-­two-­year-­old mother of seven and an assistant pastor with the Redeemed Christian Church of God (RCCG), Mrs Eunice Elisha, was in the early hours of Saturday July 9, 2016 murdered by assailants, while preaching around Gbazango-­West area of Kubwa in the Bwari Area Council of the Federal Capital Territory (FCT). The killing of Mrs Eunice has continued to provoke outrage across the country. 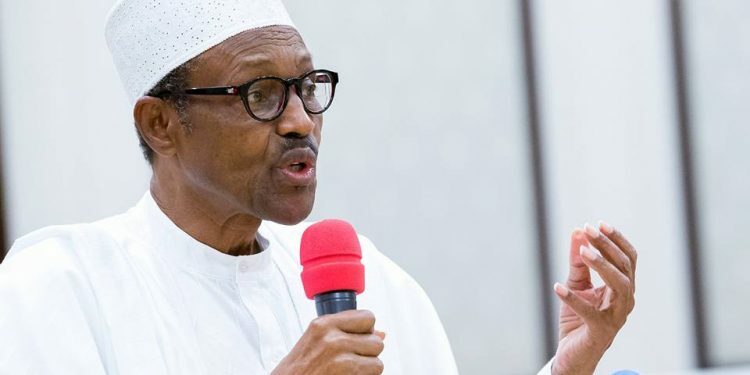 Despite the alleged religious undertone associated with the murder which can potentially inflame the nation, President Buhari has not uttered a word in condemnation of the killing or in consolation with the family of the slain preacher – more than one week after the incident. Apart from the private visitation of the wife of the Vice President to the family of the deceased, the government has not exuded any semblance of concern in the matter. With due respect, the wife of the Vice President does not have any constitutional mandate to act in defence of the citizens of Nigeria. The fact that she (Mrs Osinbajo) belongs to the same Christian denomination with the deceased makes her visit largely inconsequential in the circumstance. This is because the perception is that she only paid the deceased family a visit because of her membership of the Redeemed Christian Church. Heaven would not have fallen if President Buhari had responded swiftly to the incident by directly calling the husband of the deceased to express his condolences; publicly condemned it and issued a clear directive to the police to fish out the killers and bring them to justice. That is what leaders in saner climes do in such cases. I shall buttress this in the course of this essay. It should be noted that by virtue of Section 299 of the Constitution, the executive powers of the Federal Capital Territory, Abuja (where the murder took place) are vested in the president in the same manner the executive powers of the states in the federation are vested in governors. The President in the circumstance is not just the Commander-in-Chief of the Armed Forces of the Federal Republic of Nigeria but the “Chief Security Officer” of the FCT. However, the President is at liberty to delegate his duties as the administrator of the FCT to the Minister of the FCT. This is a case where an innocent woman who is not only a citizen of Nigeria, but a resident of the Abuja, a territory over which the President is constitutionally mandated to administer, was viciously murdered without appropriate reaction from the President. Thus, Buhari’s silence and inaction is not only a profanity of his oath of office but also a tragic dereliction of his constitutional responsibilities as both as the administrator of the FCT and as the president of Nigeria. If Buhari can treat the murder of a resident of the FCT with kid gloves, is it the continuous killing(s) of Nigerians in other parts of the country that will elicit his response? We need to pray for Nigeria and President Buhari. Till date, the avoidable killings of about 347 Shi’ites in Zaria, Kaduna State on December 12- 14, 2015 following the clash between soldiers and members of the Islamic Movement in Nige­ria (IMN) headed by Sheik Ibra­heem Zakzaky, has not received appropriate response from the Commander-in-Chief. The federal government has refused to properly investigate the killings. No disciplinary actions has been taken against the lawless soldiers who took laws into their hands by murdering hundreds of Nigerians in unjustifiable circumstances. I was one of those who condemned the Islamic Movement for blocking public highway and stalling the movement of the Chief of Army Staff, Lt. Gen.Tukur Buratai. I have consistently expressed my disapproval for religious extremism and bigotry of any form. However, we cannot sacrifice the sanctity of human life in the guise of exterminating religious extremists. Nobody should be deprived of his or her life except in legally permissible circumstances. The Nigerian Army has not justified the killing of the Shi’ites in Zaria on December 12- 14, 2015. While the leader of the Islamic Movement in Nigeria is still being detained without trial for about eight months, soldiers who committed the massacre are walking freely. This is unacceptable and President Buhari should be told so in clear language. Herdsmen in Nigeria are presently operating like a state within a state. They kill, maim and destroy at will without provocation or at the slightest provocation. The recent massacre of innocent citizens in Benue State as reported by Channels Television on July 10, 2016 and corroborated by international news channel, Al Jazeera, in its report on Sunday July 17, 2016 deserves attention. I agree that the lunacy and atrocities of the Nomadic (Fulani) herdsmen did not start on May 29, 2015 when Buhari came to power. What is apparent is the fact that the herdsmen now kill and destroy not only with atavistic impunity, but with an unquestioned aura of legitimacy. The general perception today is that the herdsmen are emboldened because one of their kinsman, who is reportedly a Patron of the Miyetti Cattle Breeders Association, is now the president of Nigeria. This according to public opinion, has weakened the capacity of the Nigerian state and its institutions to deal appropriately with murderous herdsmen, thereby clothing them with immunity from the law. This perception may be wrong. But Buhari has so far failed to disprove it. No democratic government will treat strong negative public perception with levity the way this government is doing with the issue of the herdsmen. Rather than bolster public trust in his administration by dealing decisively with herdsmen that are killing the citizens, Buhari has resorted to appeasement of the herdsmen by promoting and budgeting public funds for the establishment of grazing reserves across the country and the constitution of a Special Military Task Force to safeguard herdsmen and their cattles from cattle rustlers. The government is now investing hundreds of millions of naira in the private business of some Nigerians. Despite that public opinion, modernity and civilization favours ranches, Buhari is insisting on acquiring lands for grazing reserves for herdsmen. Two logical inferences that can be drawn from the President’s actions are as follows: First, Buhari values the lives and properties (cattles) of the herdsmen more than those of the victims of the herdsmen’s endsless attacks. Second, the President is demonstrating to everyone that Nigerians are not and cannot be treated equally. There have been numerous allegations and established cases of extra-judicial murders of pro-Biafra supporters in the South Eastern part of the country. If the federal government is pretending about the obvious application of disproportionate and unjustifiable force by security agencies in their interventions against the separatist movement, there is one report that begs for urgent and independent probe. Amnesty International has condemned this alleged massacre of unarmed civilians. As usual, the Nigerian Army denied simplicity. The federal government has closed its eyes to this troubling report. President Buhari has not taken action on the matter. Just as I am opposed to the criminal activities of the Niger Delta Avengers, I do not support the pro-Biafra agitation. As an ardent believer in the Nigerian project, it worries me that our nation is being deeply polarised along ethnic, regional and religious lines by the day. However, there are democratically and universally established methodologies and ways of resolving such crisis. Likewise, there are established rules of engagements that governs military interventions. President Buhari should cause an independent investigation to be carried out to unravel the truth of this alleged massacre. That will go a long way in putting to shame those who wrongly describe Nigeria as “a Zoo”. The security agencies have failed to stop the militants from killing residents of the area. The President of the country in his characteristic reticence has not made a public statement about the Ikorodu killings. Some persons have argued that the President should not be expected to publicly respond to every killing in the country. My reply is that those who canvass this view are making a mockery of democracy and the sanctity of human life. If the killing of one Nigerian is not enough to warrant presidential reaction, how about the unabated mass killing of innocent citizens in different parts of the country? Why has Buhari not reacted and acted approximately? What is the worth of a Nigerian life in the eyes of the President? How do leaders in saner climes respond when their citizens are murdered in circumstances that provokes national mourning? On Thursday July 7, 2016 five Dallas police officers in the United States of America were killed in an ambush by an angry shooter following the killing of two African Americans by the police. The following day on Friday July 8, speaking from Warsaw, Poland after the first of a series of meetings with European Union and NATO allies, Obama said he had offered his condolences to the Dallas mayor overnight. Obama also cut short his four day trip in Europe and returned to Washington because of the incident. On Wednesday July 13, Mr Obama left his comfort in the White House and flew on Air Force One to Dallas with his wife, former president George W Bush, senator Ted Cruz and other bipartisan leaders to attend a memorial service for the slain officers. While on Air Force One, Obama personally called the families of the two murdered African Americans over the phone to express his condolences. Meanwhile, U.S. Attorney General Loretta Lynch in his speech a day after the shooting indicated that federal investigators will equally intervene in the case. What has President Buhari done over the recent massacre of 81 Nigerians by Fulani herdsmen in Benue State? How about the Nigeria Police Force? The Police in their characteristic and ever denying way said that ONLY 22 people were killed and that some suspects have been arrested. 22 lives is described as “only” in the 21st century Nigeria. Section 130 (2) of the Constitution of the Federal Republic of Nigeria 1999 (as amended) makes Buhari the Head of State, the Chief Executive of the Federation and Commander-in-Chief of the Armed Forces. Buhari needs to rise above every conceivable primordial interests, political partisanship and ethnic or religious bias and arrest the escalating culture of criminals killing innocent citizens at will in the country. President Buhari cannot continue to keep and indulge the citizens in a guessing expedition on his true motives and policy direction. It is time for the President’s state of mind to be unveiled. The vagueness and imprecision of his much touted “body language” has to end now. Nigerians are tired of these mindless massacres. Those who feel that they now have a licence to kill others because we are in a Buhari’s presidency must be made to understand that of a truth, this is a government of change. Buhari should understand that change is useless if the most fundamental human right as enshrined in Section 33 of the Nigerian Constitution – the right to life, is not guaranteed and protected by the state. President Buhari who is fantastically good in sending condolence messages to other nations in their times of national grief should come to terms with the fact that Nigerian lives also matter.